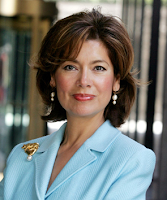 WASHINGTON D.C. -- Maria Contreras-Sweet (58) of Los Angeles has been tapped by President Barack Obama to be Administrator of the Small Business Administration (SBA). If approved by the Senate, she would one of two Latino Cabinet members within the Obama Administration. Born in Guadalajara, Jalisco Mexico, Contreras Sweet came to the U.S. at age 5, where her mother supported them by working at a chicken packing plant in El Monte, California. She grew up to be a powerful entrepreneur, investor and political leader. In 1999, Contreras-Sweet was appointed by California Governor Gray Davis to lead the massive California Business, Transportation and Housing Agency. With 44 thousand employees and an enormous budget, she retained that position the longest of any of her predecessors. Upon leaving the post in 2003, she established and investment group and in 2006, she founded Proamerica Bank, which provides loans to small businesses. Contreras-Sweet has been an active member of the Latino community, serving as mentor and helping found such organizations as Hispanas Organized for Political Equality (HOPE) and is founding director of The California Endowment, a multi-billion dollar philanthropic foundation. She also spearheaded the committee that produced the “Latinas: The Spirit of California” Exhibition featured at The California Museum for History, Women and the Arts. Contreras-Sweet is married and has 3 children. The position requires U.S. Senate confirmation.